With markets pulling back over the past few weeks, many investors are wondering whether this is the beginnings of a bear market. Today I wanted to discuss these trends and how I’d approach them. When the market capitulates, investors usually wonder whether they should be selling now in anticipation of lower future prices or buy more in hopes that prices will recover quickly. Strictly speaking, we don’t know where prices are headed in the short to medium term and so we cannot provide a definitive answer to this question. But that said, we do know that as prices come down, investors should be more willing to buy and vice versa. Vega is a fund which invests in exchange-traded US put options over well-known indices like the S&P500 or NASDAQ. To put it simply, put options are insurance. The Fund buys puts when it believes there will be a crash in these markets and sells it when it believes there won’t be a crash. This is all done algorithmically and has been back-tested extensively. Market capitulations are useful for the Fund since it provides much better pricing in the put options market. To put it shortly, many investors panic when the market falls (even if it’s only a few percentage points) and they bid up the price of put options well above their valuations. I’ve seen some puts worth $8-$9 trading for $13-$14 implying mispricing we haven’t been able to get since earlier this year. So if we believe the bull market will continue, we should clearly sell this overpriced insurance and if we think it will correct, we’d want to buy insurance or at least move to cash. Since the insurance is over very broad-based indices, our view market view should largely be dependent on the economic outlook of the US. Whilst there are many reasons to be bearish about the economy (there always are), there are also plenty of reasons to be bullish. Economic growth in the US, for example, is very strong on a relative basis, unemployment is at a nearly 50 year low, inflation seems to be returning (i.e. demand is there and growing), corporate earnings are relatively good and the impact of tariffs appears muted (at least for now). On the bearish side, the risks are building. There is plenty of debt of questionable quality and interest rates are rising which will reduce equity valuations (all else equal). Further, it’s difficult to justify the valuations of many listed companies on any sensible set of numbers. But unless we can actually see a scenario where a deleveraging cycle begins, it doesn’t make sense as to why equities should remain down for a long time. 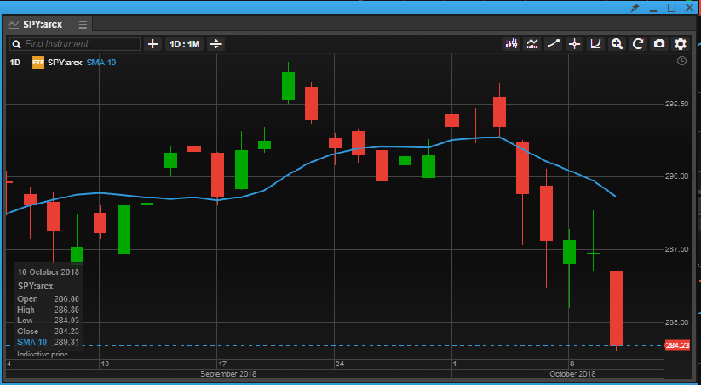 Vega’s algorithms consider the economic outlook as bullish and more so post last week’s jobs report. As a result, the Fund is inclined to sell options (insurance) into what is most likely a dip and expects to profit as markets normalise - although this may not happen overnight. Of course, if the outlook changes, so will this view.